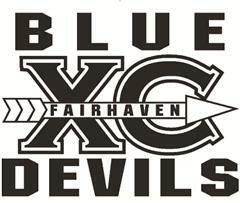 Thank you for your interest in donating to the Fairhaven High School Cross Country program and the non-profit, Strive and Achieve (www.striveandachieve.org). Your donation will directly sustain and enhance the cross country program and fund opportunities for local youth to achieve successful careers. For 32 years, the FHS cross country program has provided young athletes the opportunity to develop into well-rounded young adults. Besides the obvious health benefits of running, cross country instills confidence, teamwork, leadership, and a strong work ethic. We ask you to remember the programs that positively influenced your development and donate to this worthwhile program. Through your generous donation, this program will be able to continue and prosper. Strive and Achieve, Corp was established in September 2014 to increase the awareness and opportunities for young Americans in the trade skills. We award scholarships to young men and women with that demonstrated interest. Building career ready skills while minimizing student loan debt is critical to the United States’ economic prosperity. Strive and Achieve is a 501(c)(3) nonprofit organization. If you would like to make a donation, please click the Donate Online button to be transferred directly to our secure Paypal site.